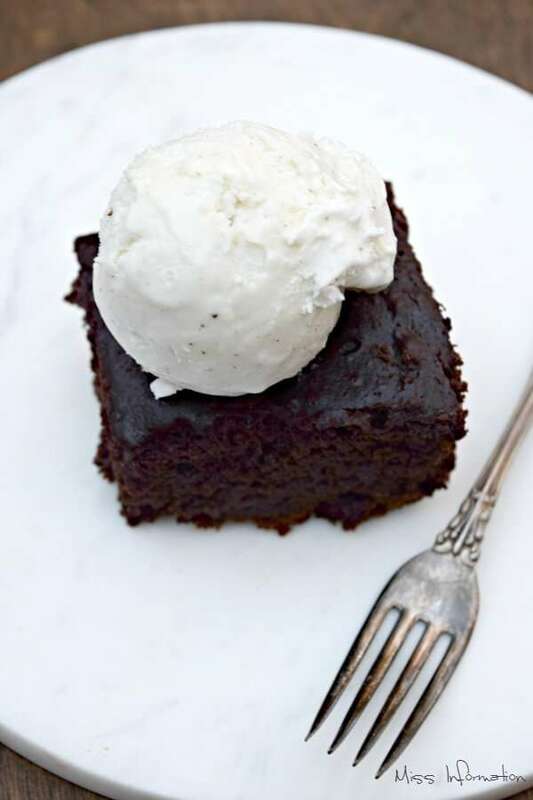 Crock Pot Chocolate Cake is the moistest chocolate cake you've ever eaten and it's foolproof to make! Some of the best cookbooks I own are from Church's or Civic Groups. I even have one that I received as a wedding gift with recipes from all of the families in the Senate and House of Representatives. One of my friends who is a fantastic cook and never measures anything (I hate her for that) once called me a cookbook whore. Well, I have to admit she is right. I have cookbooks stashed everywhere in my kitchen. 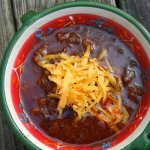 A few years ago our church created their own cookbook and this is one of the recipes I submitted. 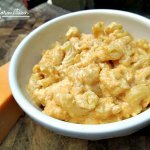 I have no idea where I originally got the recipe from but it's a favorite. 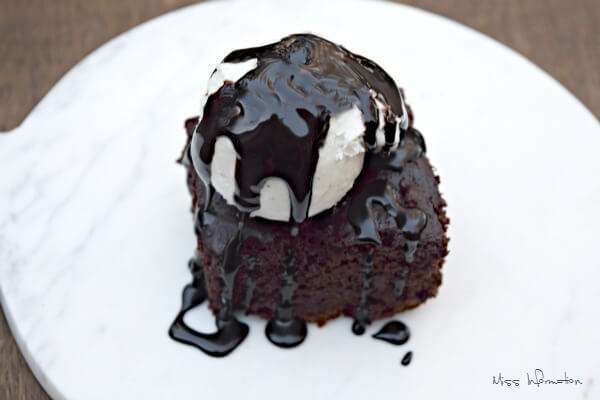 This crock pot chocolate cake is a favorite for parties and family gatherings. 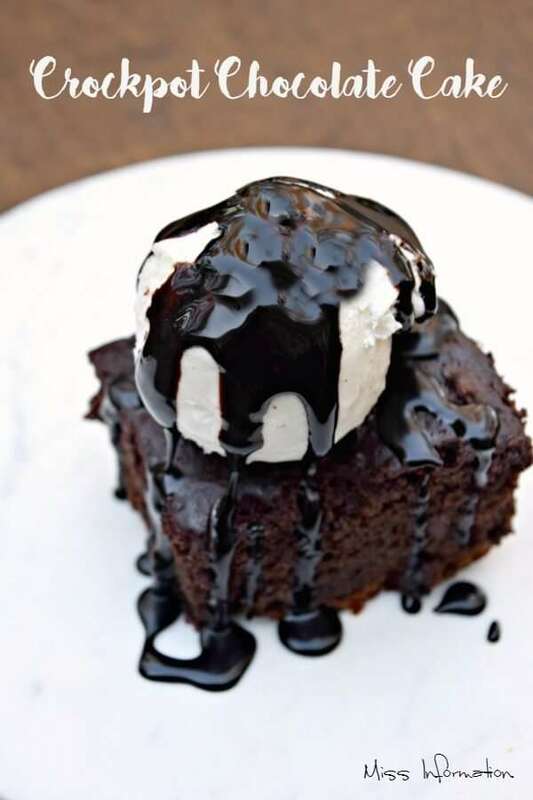 Crock pot Chocolate Cake is a fluffy moist cake. This cake is amazingly moist and fluffy almost cloud-like. You can frost it or top it with ice cream and chocolate syrup. It's perfect for people like me who don't like a lot of icing on their cake. But if you love icing just flip it out onto a cooling rack and ice it. My favorite icing is homemade cream cheese frosting. It only takes 3 hours to cook so you can be doing other things while your dessert is being made. 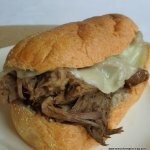 If you time it right it will be ready when dinner is finished and you can serve it warm right out of your slow cooker. I will warn you to be careful with a ceramic slow cooker and to check it after two and a half hours. 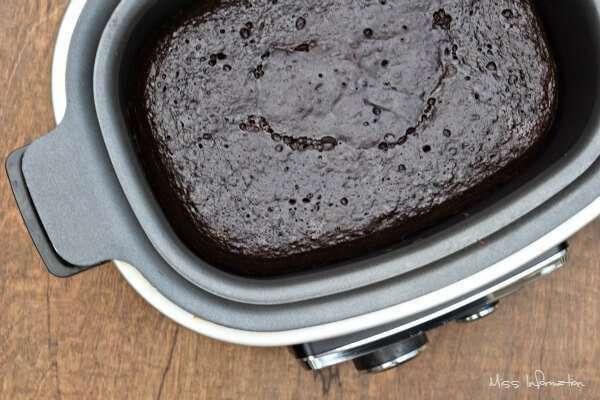 Ceramic slow cookers tend to cook from the bottom and you don't want to burn your slow cooker chocolate cake. I swear by my Ninja Slow Cooker because it cooks from the sides and bottom and never burns my recipes. I never go back to another brand again. You can see just how perfect it cooks this cake. 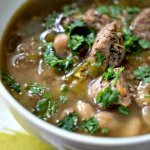 Mix all the ingredients together and pour into your slow cooker. Cook 3 hours on low. Flip onto a plate or cut and serve with frosting or ice cream and chocolate syrup. 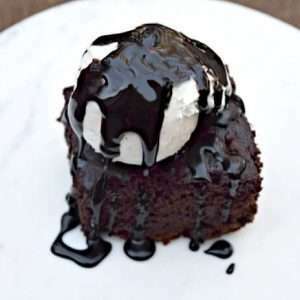 If you love this chocolate cake you'll also want to try this Chocolate Cake Martini or these little Chocolate Lava Cakes for a fun twist. Just in love with chocolate then you'll love my Salted Caramel Bark too. I have no idea as I've never tried it, but my gut feeling is that the bottom and sides will burn before the inside get's cooked. I would also think tripling may be too big for your crockpot once it's cooked. whoever made the crock pot was genius. Whoever figured out you could cook desserts in it, was even more brilliant!Thanks for sharing this recipe on Foodie Friday! This is tomorrows dessert. thank you. i have never made a cake in a crock pot before. Yea let me know what you think! Thanks Terrie for pinning and I hope you enjoy it, but then again, what's not to enjoy about chocolate! Thanks for Pinning and I hope you like it! Hey Kerrie, thanks for the invite I think I missed it this week but will link it up next week! IT's great when it's hot! Hope you try it! That sounds so decadently delicious! 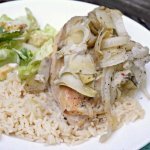 Thanks so much for linking and I love those kind of cookbooks, too, they have the best recipes. Thanks! What is your favorite? That looks so good! 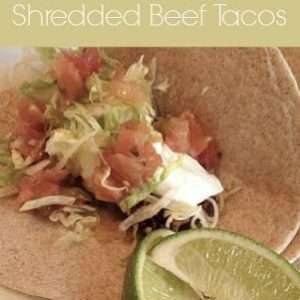 I'm totally going to try this recipe, I'm pinning it so I won't lose it. Thanks for sharing! Oh, this looks delicious! I used to own a ton of cookbooks that I never used and got rid of all of them EXCEPT for the church and civic cookbooks. I knew by using one of their recipes that I was getting a dish that had actually been prepared by someone! yum, yum, yum!!! 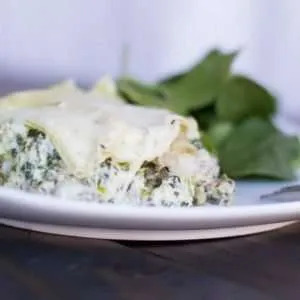 :) can't wait to try this... pinning for later! 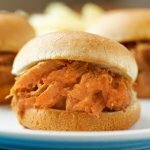 ooh, that looks so tasty--and anything in the crock pot that's tasty is a winner!